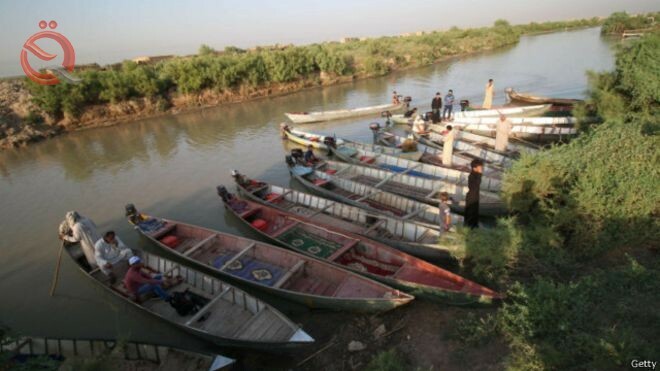 The governor of Dhi Qar Yahya al-Nasseri, Tuesday, that the budget this year neglected to revive areas of the marshes and did not provide strategic projects to reduce the migration of its population. Naciri said in a statement quoted by the newspaper "morning" and the official "Economic News", "The continued migration of the Marshlands from their areas came as a result of the absence of strategic projects to resettle and address the scarcity of seasonal water," stressing that "the budget of 2019 neglected the file Marshlands and offered no solutions Or projects to increase the immersion rates of areas that have been desertification during the previous years. " He added that "the competent authorities are still absent and did not submit any new projects to overcome the effects of the drought in recent years and take advantage of the water abundance caused by the recent rains across the country or seek to provide a regular water share of the marshes." Naciri said that "the previous government had allocated the Marshlands annual budget and could not keep its promises because of the financial crisis and the war on terrorism, while the current budget has forgotten the population of the marshes and its file and ways to address desertification crises." The area of ​​the marshes is five areas of the province of Dhi Qar, and it is divided among 10 administrative units out of 20 in the governorate. The area of ​​the Nasiriyah marshes before drying in the early 1990s is one million and 48 thousand dunums, while the area re-flooded after 2003 is about 50 Percent of the total area.